The attorney general's removal of domestic violence as a reason for granting asylum is part of his pernicious plan. Attorney General Jeff Sessions is hoping that the new standards he's putting into place for asylum-seekers and undocumented immigrants are too complicated for you to understand. He’s hoping you’ll tune out, move on and see refugees the way the Trump Administration needs you to see them — as criminals, not as asylum seekers, victims of systematic violence or children. And in all but stripping migrants mostly coming from Latin America of their human right to asylum, it's clear, too, that the attorney general needs you to see Latinos as less than human. 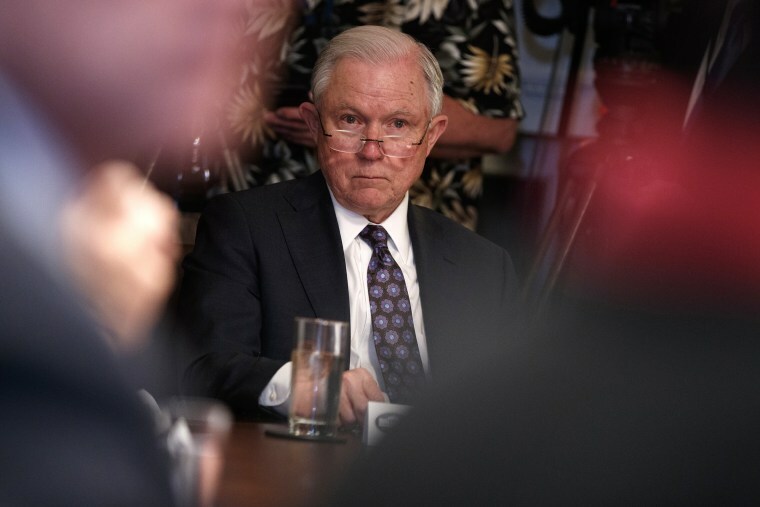 To that end, we should see this latest move by Jeff Session for what it is: A blatant violation of human rights and international law; a battle-wearied administration’s attempt to consolidate political power by scapegoating a racial minority in the midst of crumbling public confidence and a midterm election that is widely expected to go against their party; a systematic humiliation and denigration of Latinos to prime the country for something darker; and a scheme to detain migrants indefinitely by intentionally breaking the courts, which were never designed to try asylum-seekers as criminals in the first place. There are, to that end, cages for children, with foil blankets and unhygienic conditions in cold rooms away from their parents. Inadequate medical care is rampant. Crumbling Immigration detention facilities are a health hazards all their own: Bathrooms commonly contain mold, chipped paint and toilets that overflow. The government seemingly plans to break the parents by breaking their children. A number of suicides suggests that they've been successful. And then on Monday, the attorney general announced in his ruling over the self-appointed case of Matter of A-B- that those seeking asylum in the United States on the grounds of domestic abuse or gang violence will no longer be granted that asylum in many cases. Session’s ruling on the Matter of A-B- is a sharp reversal of a previous decision by the immigration court — which is housed under the executive, not judicial, branch — to grant Ms. A.B. eligibility for asylum based on a previous case similar to hers. In the prior case, the Matter of A-R-C-G, the immigration courts ruled that women fleeing from domestic violence may qualify for asylum. Being unable to rely on the government to protect you from domestic violence is a kind of persecution based on gender. But it should be noted that no one has ever argued, especially not in the Matter of A-B-, that eligibility for asylum should be granted to alleviate all problems: Its purpose is to offer sanctuary to people who have a credible or reasonable fear of persecution if they return to their home countries, and being unable to rely on the government to protect you from domestic violence is a kind of persecution based on gender. Session’s rhetoric is troubling for more reasons than that: He is rewriting U.S. immigration law by referring landmark cases from the Immigration Board of Appeals to himself and ruling on them with Attorney General’s privilege (he’s done this four times in 2018). Reframing these landmark cases will affect thousands of people and feed the party line that desperately attempts to prove that all immigrants — asylum seekers and not — are criminals in order to strip them of the rights (including to the right of asylum) afforded to them by international law and the Universal Declaration of Human Rights signed by the United States post-World War II. Already, the reframing of refugees as criminals in the public eye and in practice is well underway. In April, the Trump administration ordered government agencies to end so-called “catch and release,” a program put in place for the very purpose of legally protecting vulnerable populations like children, families and people who claim they’re in deadly peril who seek asylum at our borders. Since then, we’ve seen a shift in the way we process immigrants arriving at U.S. borders without proper documents — even those claiming asylum — toward prosecuting everybody as criminals. Previously, it was more common to release a migrant with time-served and allow them to self-deport, which proved less costly than prosecuting and a process which relied heavily on civil courts rather than criminal ones. Now, migrants are being charged with immigration crimes as a matter of course and the widely reported separation of children from families upon detention is part of the new prosecution machine. Migrants' children are being used as a bargaining chips to get those detained on criminal charges of illegal entry to plead guilty in exchange for the promise of being speedily reunited with their children. Given that asylum is harder to obtain after pleading guilty to even a misdemeanor, the practice of charging every asylum seeker with a crime at the border in addition to Session’s new ruling makes it virtually impossible for asylum to be granted to anyone. Even for those who haven’t pleaded guilty to a charge — including asylum seekers — prison might still in their future, as the ICE detention facilities are increasingly farming out the responsibility of holding migrants to private detention centers, prisons, county jails and now possibly tent cities on military bases. Given that asylum is harder to obtain after pleading guilty to even a misdemeanor, the practice of charging every asylum seeker with a crime at the border makes it virtually impossible for asylum to be granted to anyone. The opacity and extrajudicial nature of these rulings is designed for one purpose: To provide a legal path toward the ultimate goal of denigration, incarceration and eventual purge of Latinos attempting to build new lives in America. The end of and asylum cases as we know and “catch and release” are not designed for speedy deportations or swift justice; they will inevitably gum up the immigration and criminal courts at all levels so that the processing of migrants will grind to a halt. Those left in limbo in detention or incarceration centers waiting to see a judge — which can already take too long — will be held indefinitely. It’s high time we call this by its name: Internment camps are back and they’re growing. And if any of us is serious about not letting history repeat itself, of not letting America slide into the darkest chapters of history, we must draw a line when it comes the systematic denial of legitimate asylum to those people seeking it at our borders. The continued assault on asylum seekers and children will be the the dark pivot into the rest of it. Daniel Peña is the author of "Bang: A Novel." He lives in Houston, Texas.